When I asked Mums why they liked disposables over and above traditional cloth nappies, there were 2 main reasons: 1) Washing is a hassle 2) It's expensive! At Darwin Laundries have the solution! Washing is what we do best and have you seen the new modern cloth nappy? Cloth nappies are not what they used to be, they used to be hard to use, messy and leaky with big pins! 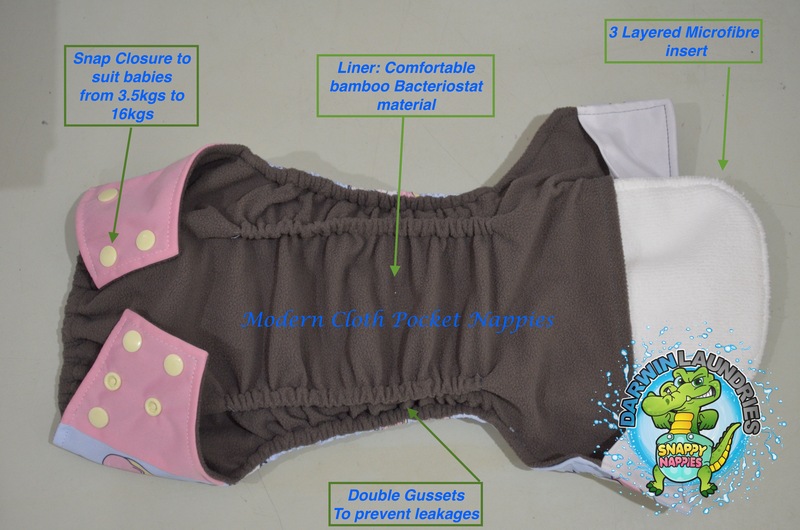 Fast-forward to today and we now have the Modern Day Cloth Nappy. They are shaped like a disposable, with waterproofing built in. They have a special pocket to insert liners that soak it all up and a double layer elastic gussets around the legs to stop the leaks. With over 800 million tonnes of disposable nappies going into landfill around Australia each year, it is time to reduce our carbon footprint, one nappy at a time on the world. 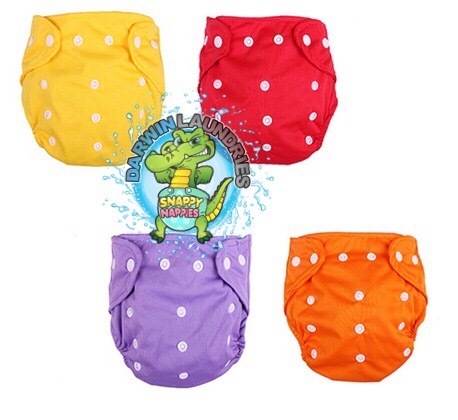 Using cloth nappies does not have to be an all or nothing choice. Just using even one cloth a day will be a positive step in the right direction. While we cannot compare to the price of the home brands that big supermarkets can sell disposables for, we do work out to be incredibly cost effective of around *60c per nappy under our rent and wash package. Best of all we are eco friendly and will not produce waste that will take 100’s of years to break down.